Atchison got his start in his senior year of high school when a chance meeting with Linda Lutton, an education reporter at Chicago’s public radio station WBEZ, led to his first internship this past summer. As the station’s first high school intern, he worked under Lutton’s mentorship, recording sound for stories and programs at school policy events and Chicago Public School budget hearings, and even helping her break news. Atchison also participated in an on-air panel discussion regarding racial profiling of young African-American youth, especially males, in Chicago. As part of his public radio internship, Atchison also produced a feature called In their own words: Fear of freshman year. The radio story focused on the anxieties, excitement and dreams of college-bound high school students ready to embark on perhaps their greatest adventure yet. And Atchison will continue to scale that learning curve during his time as a student at Cronkite, one of the top three journalism schools in the nation. 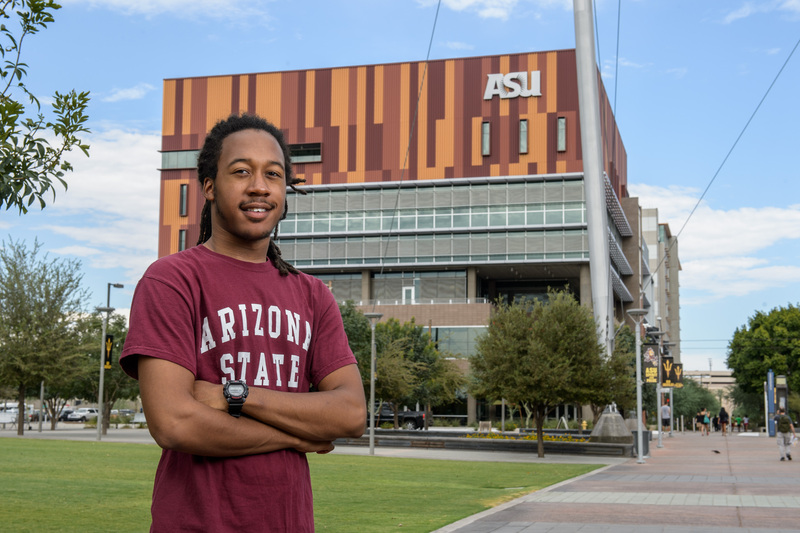 Even though he misses family, Atchison loves being in sunny Arizona and on ASU’s Downtown Phoenix campus. The journalism freshman hopes to translate his penchant for storytelling into creating documentaries on social issues for a living. Every turn in a conversation with Atchison reveals layers of maturity, drive and awareness – self and outward – that surpass his age. Atchison says his mother’s struggle and determination to provide her four children with a good education and deep roots have shaped his perspective on life. Growing up in Chicago also has played a part. And this sense of responsibility toward others is why, according to Lutton, Atchison stands out in the crowd. Regents' Professor David William Foster recently penned "Glimpses of Phoenix" – a book that examines narrative works about the city's urban myths. David William Foster, a Regents’ Professor of Spanish and women and gender studies at Arizona State University's School of International Letters and Cultures, recently wrote “Glimpses of Phoenix: The Desert Metropolis in Written and Visual Media,” a book that examines a series of narrative works anchored in a critical understanding of the dominant urban myths of Greater Phoenix. 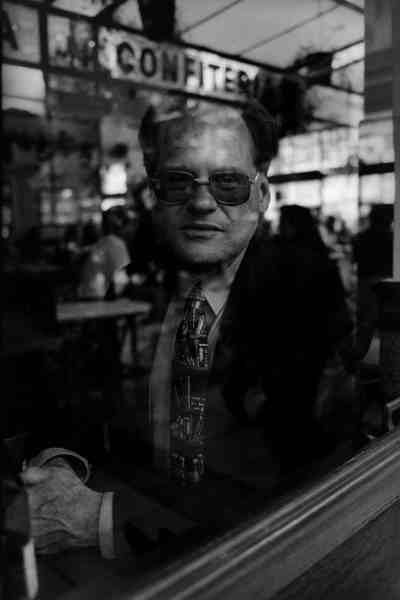 Foster: This book is a consequence of a sudden flash of illumination that came to me ten years ago. I’ve devoted most of my scholarly career to writing about the cities in Latin America. Then it occurred to me: Why haven’t I written about Phoenix, a city where I’ve lived for most of my life? Except for some exceptional historical research, not much has been written about the city’s culture. I started organizing my material and launched a course named “Phoenix and Cultural Production.” The materials for the book have slowly emerged out of that course. In the book, you mention that Phoenix has always been considered a place with no history. Why is that? Foster: I think that there are a couple reasons for that. One is that the city has grown so tremendously over the years. It grew during the World War II and then again in the 60s and the 70s, which is when I first came here, and has continued to be a boom city ever since. Consequently, many people, who have no roots in Phoenix, ended up here as an accident. They are interested in what Phoenix is now – the modernity, the Arizona lifestyle, etc. That has certainly contributed to the belief. Another is that there aren’t many great events or personalities, except Barry Goldwater and a few others, associated with Phoenix. People come here to live the Arizona dream and have fun in the sun. If they see a historical building such as the St. Mary’s Basilica or the Tovrea Castle, they don’t think much of it. One of the most interesting aspects of the book is that you tell the history of the city through literary and culturally prominent figures who have worked or lived here. Was that deliberate? Foster: I’m interested in how lived human experiences are represented in cultural production. I’m not a historian, sociologist or anthropologist; I deal with cultural products – novels, films, photography, cartoon art, etc. that are an interpretation of the lived experience of Phoenix. Certainly, my own voice is there in terms of what works I chose to study, my opinions regarding the works and the way I frame those opinions. My own voice is also directly present in my photography that is included in the book. Please talk about the popular or literary voices and figures you’ve used and why you chose them. A very important dimension of the book is the Hispanic content. One of the Hispanic writers included in the book, dramatist Cherrie Moraga has done some extensive Chicana lesbian writing. Guillermo Reyes, professor of theatre and film at the Herberger Institute of Design and the Arts, writes about the hypocrisy of sexuality and of being a political figure in Phoenix. Stella Pope Duarte, who grew up in the Sonorita Barrio in south Phoenix, talks about the marginalization of Hispanics in the city. I wish I had African-American and Asian-American components in the book, as those populations have been important in Phoenix’s history, but I couldn’t find many cultural works to discuss. Did something surprise you during the course of writing this book? Foster: When I told people I was writing a book about Phoenix’s history, people reacted with surprise. I was surprised at that attitude, a little disappointed as well. Most people who live here don’t have their feet on the ground. They drive everywhere and don’t see the city. My wife says that she doesn’t go anywhere the freeway doesn’t go. One of the issues here is also that culture tends to look for the problematic side of human experience and nature. I might get some pushback from those who believe I should’ve written about the glories of this all-American city and fun in the sun. Foster: I want them to feel the need to look at the city – the need to explore what Phoenix and living in it is all about. Phoenix is not just your church, school, suburban home or the grocery store that you go to – it is a living, dynamic phenomenon. I’ve lived here for nearly 50 years and I want this book to be a source of meaningful engagement. Lectures and book signings are presented by ASU Libraries, School of International Letters and Cultures, Institute for Humanities Research and College of Liberal Arts and Sciences.